Actions for Google Assistant continue to be added at a pretty fast clip and most of them we don’t hear much about. They just show up in the Assistant app on your phone and then you can use them there or on your Google Home. However, every once in a while, Google highlights a new Action like that have with Tasty. Tasty.co is a fantastic recipe site that gives you step-by-step instructions and videos to cook just about anything. 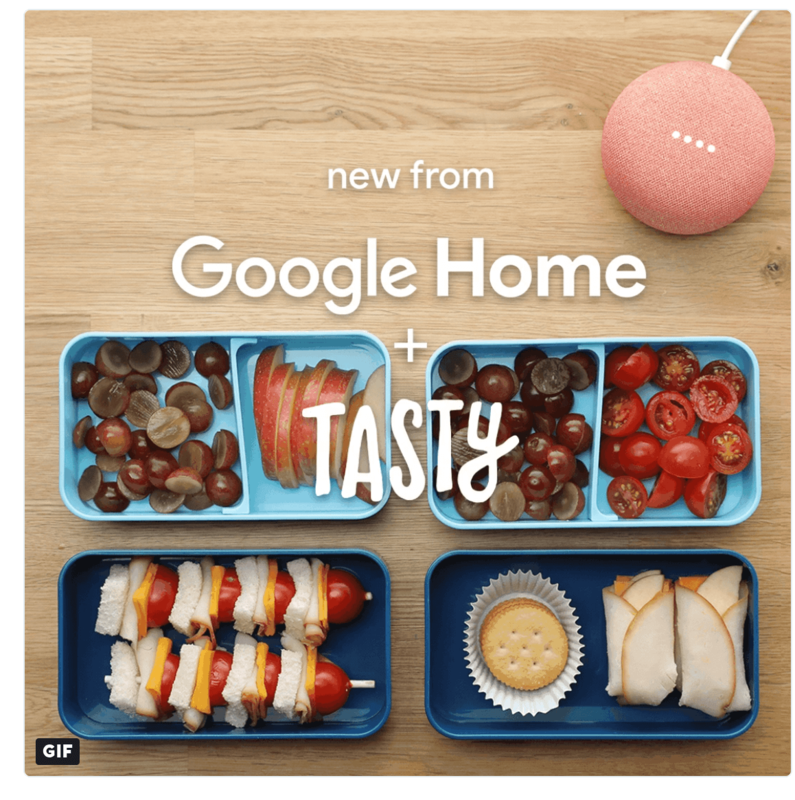 Now it is even easier by simply asking your Google Home to talk to Tasty. To get start, like you do with other Actions, just ask Google Assistant on your Google Home to talk to Tasty, “Hey Google, talk to Tasty”. Once you do that, you’ll be prompted for what type of recipe you are seeking and be given the information along with step-by-step instructions. It will also remember recipes that you have searched for in your Personal Results so you can refer back to them later. Right now the feature only works on Google Home devices. If you ask for Tasty on your phone, you’ll get a notification that the mobile experience is still being worked on. Hopefully that’ll come online soon as being able to get a recipe while at work then pull it back up later when you are home would be mighty handy. If you have checked out over the million different Actions (literally, there are a million), just open up Assistant on your phone, go to Explore (the blue icon in the upper right corner) and just search for a topic or service you are interested in like Tasty, Starbucks or mixed drinks.